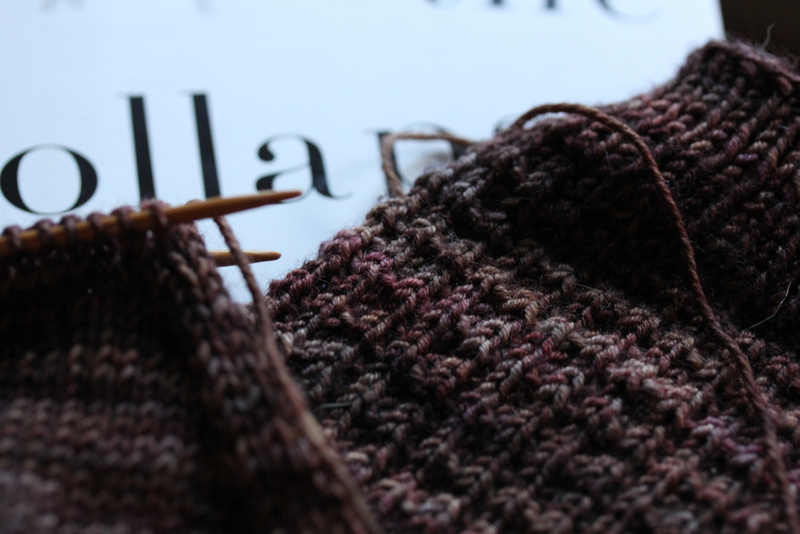 I haven’t been able to decide on my next big project since finishing my Hollows shawl a few weeks ago. I decided to knit a pair of socks for myself while I pondered the next “big knit.” The pattern is here and the yarn is Dream in Color in Pinot. Check out that yummy texture. It has that squishy feeling that I love in socks. Ha. I just now noticed the toy Princess Sophia doll in the photo. Eddie has developed quite the obsession since we’ve lived with my parents, and my mother has been more than happy to indulge and buy her every Princess Sophia toy she can find. The kids are going to be so spoiled by the time we leave. I’m not one for New Year’s resolutions (why commit to failure?) but I decided that since we are technically homeless at this point and I don’t have a house to care for, surely I could find the time to fulfill a resolution or two. So, my resolutions are to read one non-fiction book and learn a new knitting skill every month. Today is the first of the month and and I’m only halfway through my January book, so perhaps I should change my goal to a non-fiction every two months? 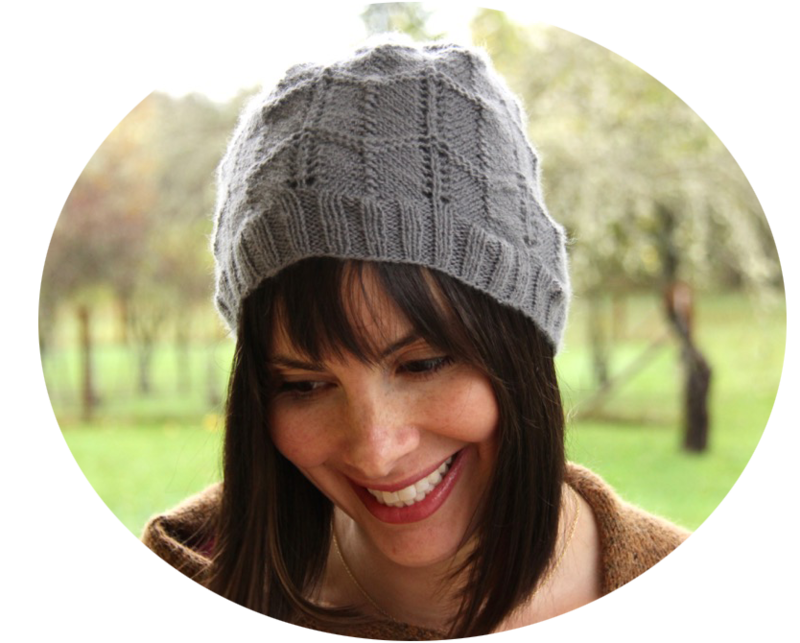 It’s so hard finding time to read during the day and at night, I just want to sit and knit. The book is called The Collapse of Parenting. I heard a few interviews with the author on the radio over the past six months or so and I was intrigued, so I decided to purchase the book. So far, I am really enjoying it. 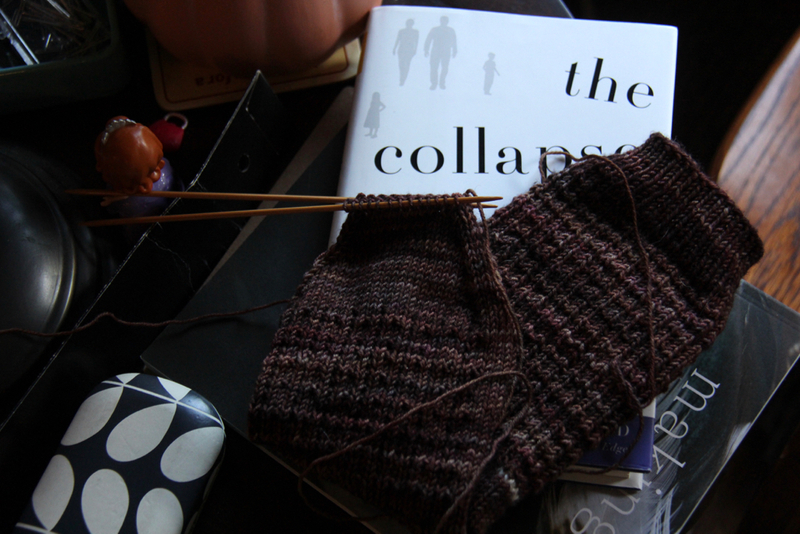 I already know how to knit socks (obviously) but I decided to attempt the much raved about afterthought heel. Everything was going just fine until I realized how long my sock was looking. Apparently when you knit an afterthought heel, you stop knitting the foot length four inches before the desired length as opposed to the two inches before the desired length like you do when you knit a regular sock pattern. I had to rip out about four inches of sock last night, but I’m back on track now and I should be knitting the heel by this afternoon. We took a trip to Austin last week in search of a new home. I will share some pictures of our trip soon and hopefully I will have some good news to share as well. i always love your photos and whatever you’re making. <3 thanks for sharing! good luck with the house hunt.. we are in a similar situation, homeless at the end of feb as we wait to find a home. blessings! Thank you so much, Martha! Hopefully I finish the socks by next week so I can share them with you all! Good luck to you as well…being “homeless” is quite uncomfortable at times, isn’t it? !